I have read that if Straws do not get enough carotene in their diet that they will eventually fade to a ghostly white. My guys have all molted at least once, some twice since getting them in late July. Their colors range from a dark red similar to dried blood, to lighter red similar to an almost tomato. Some of them are red all over and some are white on their bottom side and all the joints on their legs. I'm assuming this is all natural for them since other breeds can have a wide range of variations plus the Straw Care Sheet references similar colors. 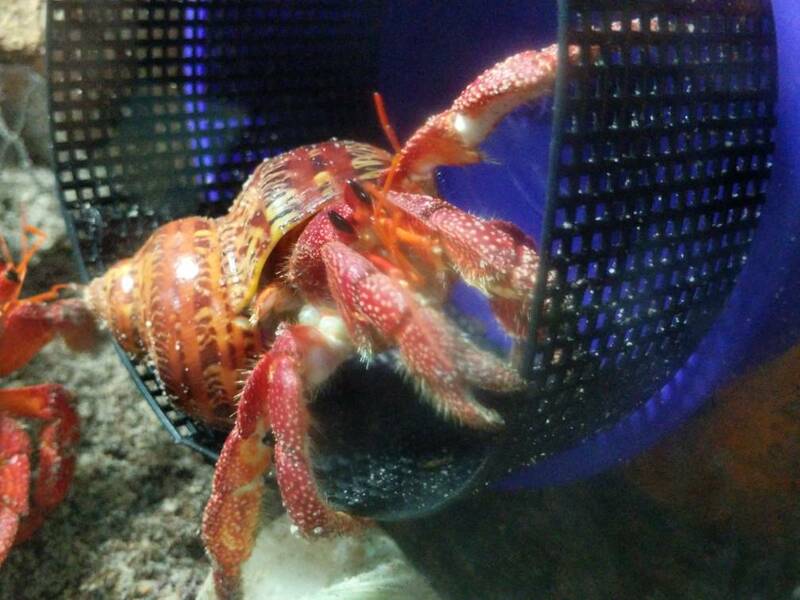 I am also assuming that it will take several molts (dark red, light red, pink, white) for them to fade out if they aren't getting the proper nutrients. 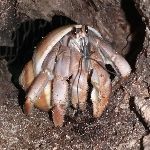 I doubt they would be a bright red, molt, then come up looking like a ghost. So far I believe all 5 of my guys are doing great in the 4 months that I have had them. Some of them stayed dark and others got a shade or two lighter. Is there any shade in their coloring where I should start to be concerned? I didn't see much, if any information on their coloring. Plus I have been super worried about them not getting the proper diet since I got them. I don't think that's possible because they must have at least 30 food items I rotate through. Edit: They could be getting a great diet, just one that is lacking for the coloring, which is one that could ultimately lead to their demise. I just typed up a lengthy reply then had to log in again and lost it! GRRRRRRR! Thanks for the heads up Stacy. I thought I was offering them plenty of color foods in my rotation. Carrots, broccoli, strawberries, blueberries, cranberries, kale, spinach, tomato and plankton, either fresh or dehydrated. They also get at least two proteins a day. maybe both fish, then two land, followed by a mix of each. Some of the sea proteins include, anchovies, blood worms, mysis shrimp, salmon, whitefish and oyster pieces. They also have a few types of seaweed as well, pulse flakes, green marine algae, kelp powder. I saw I could order a spirulina/chlorella powder mix on Amazon for around $30. Non GMO, Organic, and also Vegan. Also saw the same for the astaxanthin around $30 for 4 ounces! I'm not sure if giving them the straight powder would have any ill effects on them due to it being concentrated. 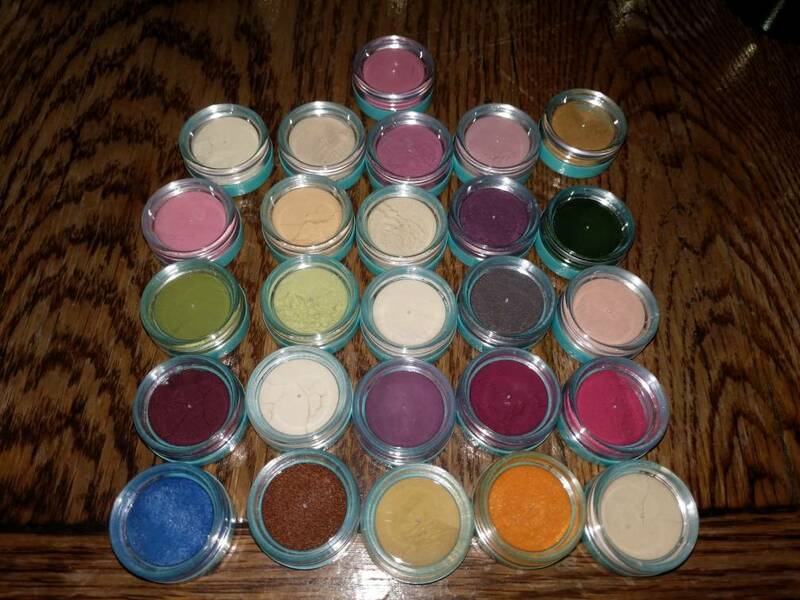 Maybe once your shop is back up and running it would be best to place a custom order for all color boosting items, plus I'm running low of calciums. I'm good with isopods! I’m not sure if this will help but I get this for my guys and they absolutely love it, I have to refill it every night. Thanks Riniky, I believe they are both taking a break from orders for a few weeks with both of them up to their necks in baby crabbies! Motörcrab wrote: Thanks Riniky, I believe they are both taking a break from orders for a few weeks with both of them up to their necks in baby crabbies! No she’s back, I had it on “let me know when this shop returns” I have one for GotButterflies’ shop too. I’m a loyal customer. I give my straws all the types of seaweeds I can get. Most seaweeds are going to be organic - especially if harvested from the wild - and they love them. More than the other guys tend to. TBH, I don't really focus on what is a color booster and what isn't - I know a lot of people do, but I look at we are what we eat. If something is colorful, it's bound to supply color. Look at it that way. I look at each of my tanks at what does each tank like? If my guys don't tend to care too much for certain things, then I avoid them. (Even if they are a color booster). You should be able to buy astaxathin in any dose. 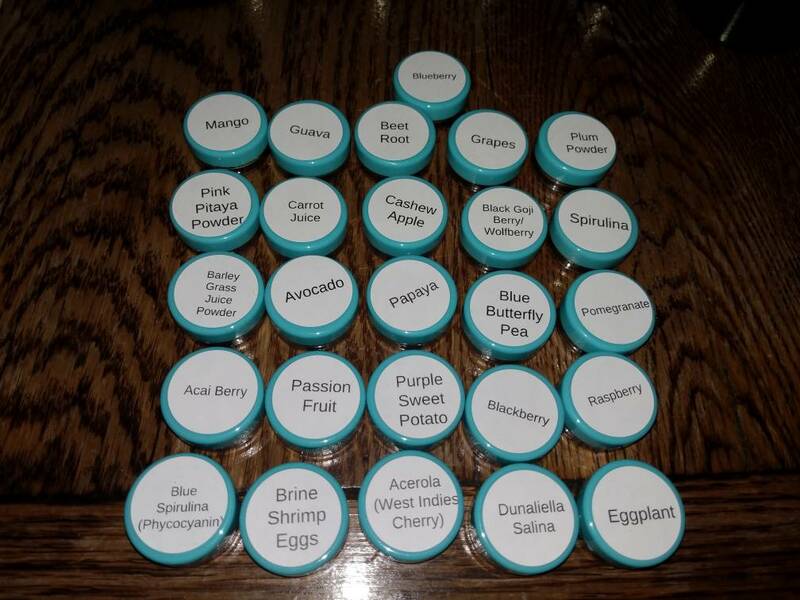 Check out a health food store for capsules and open them. Doesn't matter what percentage - you can mix it into their food. You can mix it with raw honey, organic coconut oil - it's a great treat! Thanks for the additional info Stacy! Just to sum it up, I should be able to get everything at a health food store. Just about all types of seaweed are organic and safe. Astaxanthin, spirulina and chlorella are also safe as any type, powder or pills as long as they are organic. If they are capsules just open them and mix with other foods or raw organic honey or organic coconut oil. I had partial luck at the health food store. 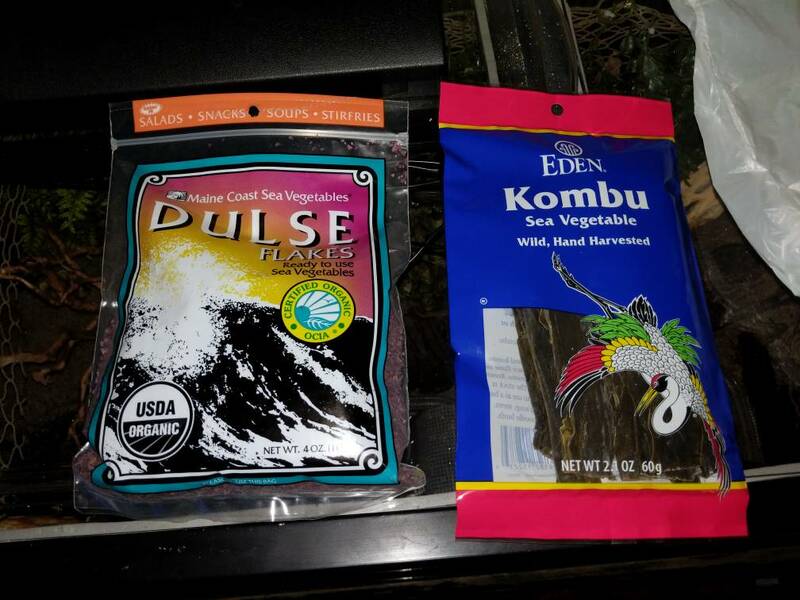 I found Dulse Flakes, and Kombu seaweed. They only had asaxanthin an spirulina in tablet form mixed with other things. The chlorella I saw was either in well tabs or in liquid form. I got a few questions at the store when I told them the stuff I was getting was for them. The lady seemed pretty interested and was amazed when I informed her they can live 40-50 years if conditions are right. Here is a picture of Mephy to show what I mean about his coloring being lighter on the sides and bottom of his legs. No problem! My pleasure! I'm happy to help! As far as any of the items we discussed - You don't want them in tablet or liquid form. They should only be in powder, flakes, - and single ingredient. Also - with the seaweed - avoid toasted/or stuff that says that it is for sushi - that is usually a way to say it is toasted Cooking can remove nutrients. Mephy doesn't bad! What you described sounded worse! Joints can be a little white like that. That back leg looks a little pale - but that can happen. Thanks again Stacy! It isn't super noticeable on him unless you are looking for it. If you were just looking at him you wouldn't really tell unless his belly is visible. I assumed it is natural you get some variations, similar to purples how they can be pinkish, brown, purple, almost black in color. I probably should have posted a picture earlier but last night was the first I could get an ok picture of him. I'm still going to boost everything you mentioned just to play it safe. For as much as I love Halloween I don't need/want any spooky ghost looking crabs. Mephy is gorgeous, I love his name too! I'm a bit (really) late - but I found a packet of red seaweed in the fish section at the pet store. I'd imagine that it would help with coloring as well if you look for it. Thanks, I ended up getting an assortment of different powdered items for color boosting along with the seaweeds I posted earlier. Also as Stacy said more sea proteins too. Motörcrab wrote: Thanks, I ended up getting an assortment of different powdered items for color boosting along with the seaweeds I posted earlier. Also as Stacy said more sea proteins too.